Variable sample Volume included as standard. Size volumen of simples 10 cc, 3.5 cc and 1 cc. Easy operation: The collector lid opens and closes in a single touch. Operation by touch screen. Superior measurement accuracy: the analysis cell includes an integrated lid that reduces wear or surface damage when the user closes and opens the lid, preserving the technical specifications of the first day. 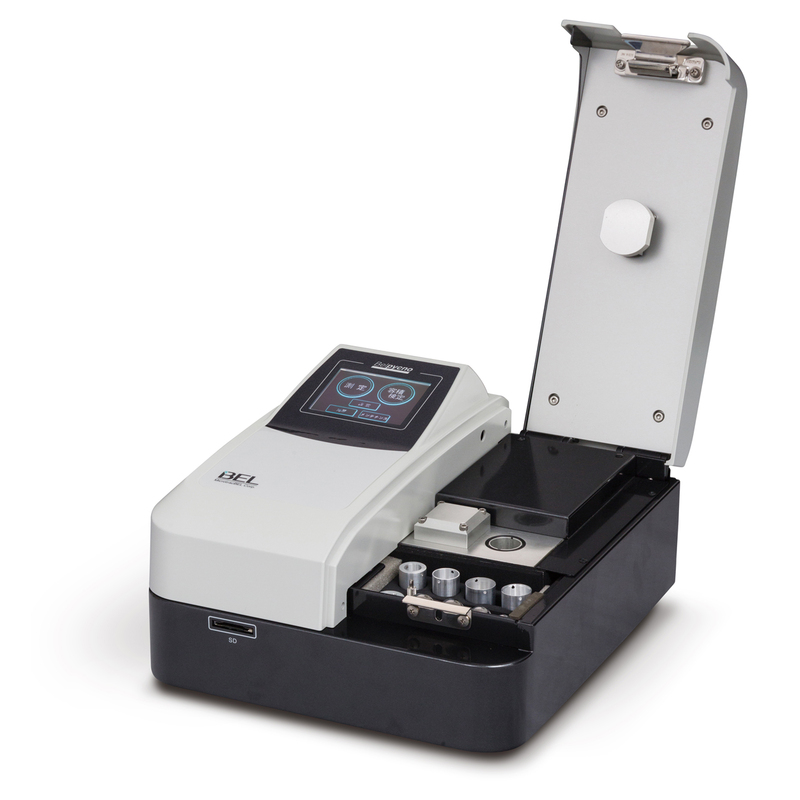 Compact peripherical unit to quickly print the results. 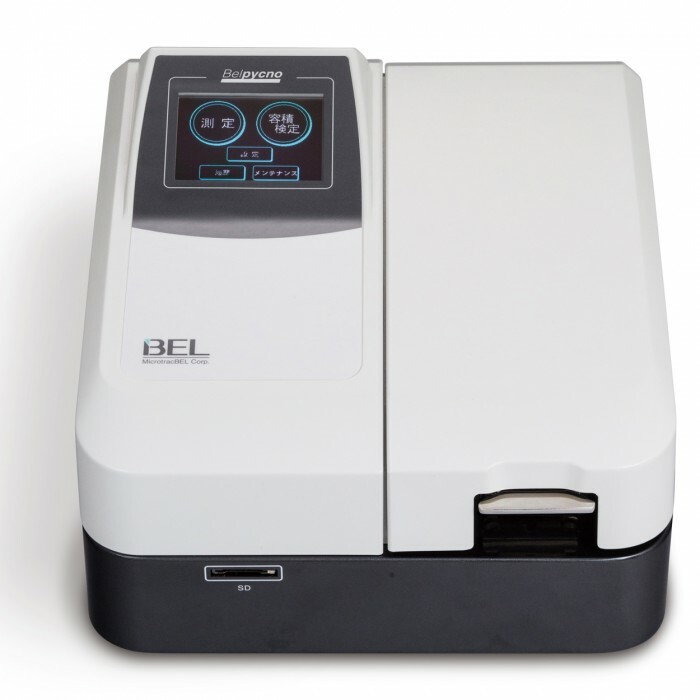 Connect electronic balance to BELPycno for automatic weght data transfer. Circulation water Bath to extend working temperatura range from 15 0C to 50 0C. Catalysts, Fuel Cells, Pharma and Medicine, Cosmetics, Cements, Inks and Toner, Pigments, Ceramics, Electronics, Mineral.